US defense officials clarify earlier statement, say military has begun moving non-essential gear out of Syria, not withdrawing troops yet. 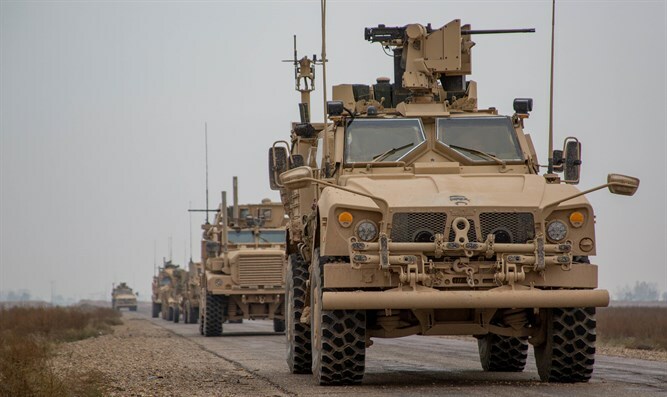 The US military has begun moving non-essential gear out of Syria but is not withdrawing troops for now, defense officials clarified Friday, according to AFP. A military spokesman had said earlier the US had already begun "the process of our deliberate withdrawal" from Syria. US defense officials quickly sought to clarify the remark, stressing that the withdrawal was only of certain types of gear, and not troops. A second US defense official told AFP the military had conducted a number of preparations for a deliberate withdrawal. While no formal time-table for the pullout has been released, Trump reportedly agreed to spread the pullout over four months. National Security Adviser John Bolton said during a visit to Jerusalem this week that the US may retain a presence at an enclave centered on the Al-Tanf airbase in southeast Syria even after the pullout.